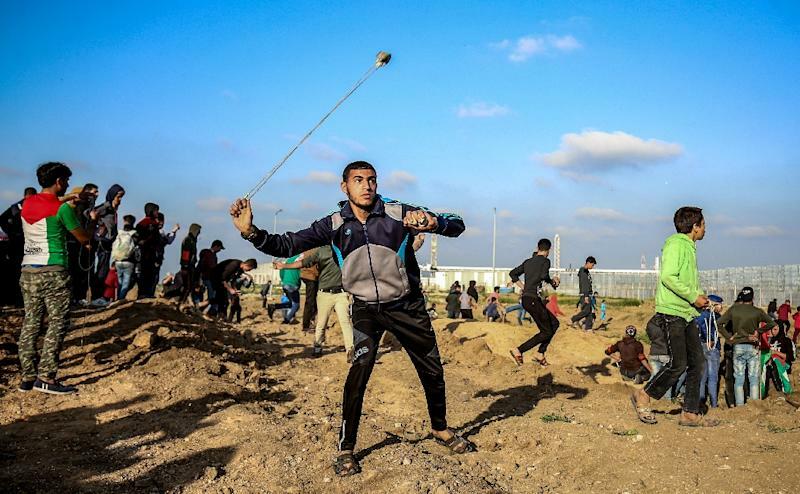 Jerusalem (AFP) - Israeli aircraft targeted Hamas positions in the Gaza Strip early Sunday after Palestinians there threw explosive devices at the border fence during "riots", the army said. Also Sunday, the health ministry in Gaza announced the death of a Palestinian wounded previously in clashes with Israeli forces. "In response to multiple explosive devices that were hurled and exploded during Gaza riots near Israel's border fence this evening, an IDF aircraft targeted two Hamas observation posts in the southern Gaza Strip," a statement from the military read. The Gaza health ministry however announced the death of 24-year-old Habib al-Masri, who was wounded in clashes with the Israeli army. It gave no details on when he was wounded. On Friday, two Palestinians were killed by Israeli fire in separate border clashes. And on Saturday, the Israeli army launched two separate airstrikes against groups of Palestinians in Gaza who had allegedly flown balloons rigged with explosives into Israel. The Gaza health ministry said two Palestinians had been wounded. At least 258 Palestinians have been killed by Israeli fire in Gaza since weekly border protests began nearly a year ago. Hamas leader Ismail Haniya is calling for a mass turnout for border protests scheduled for the first anniversary of the demonstrations, on March 30. Israel holds Hamas responsible for all attacks from Gaza, controlled by the Islamist group since 2007.